If I were to write another book, it could be another, even clearer, presentation of the gospel. If I were to write another book, it would be because my wife told me I should, because the good news is way better than even I thought it was a couple of years ago. If I were to write another book, this could be the Forward. It is coincidental that here, in mid-Lent, I have just finished reading my fourth book in a row on the atonement, besides listening to various sermons and lectures online. It’s not that unusual for me to lock onto a subject, but I don’t think I’ve ever locked on to something this meaningful and relevant, for it relates to everything (if you happen to be a spiritually-minded person). For that matter, it’s relevant even if you’re not, but that’s a topic for another time. It’s relevant to everything because at the heart of the atonement issue—and the larger issues of life, death and everything—is the nature and character of God. At this point in my studies, I am more than ever convinced that a majority of evangelicals around the world have been taught things about the atonement—and subsequently the nature of God—which are heretical. In this, I am in line with most of the church throughout history. It is unfortunate that so many church attendees will have to listen to sermons about justice and wrath and how God abandoned Jesus on the cross because He couldn’t look on sin, about how we are all worms saved only because God poured his wrath on Jesus instead of us. This kind of thinking not only portrays God as being not at all like Jesus (and somewhat schizoid), but pits God against Jesus, antagonist versus victim, dividing the Godhead. This thinking, by the way, came from Calvin, who was forced to this conclusion to make sense of his other heretical ideas. This is not good news. If anything, this should cause us all to wind up on Easter with a case of PTSD. Even after being saved by the skin of our teeth, we still have to deal with the fact that our God would have crucified us, and will still go on to throw most of the world into hell for all eternity. This is supposed to make us happy? Rejoice! We’re saved, but the rest of the world will burn forever! With this kind of thinking, it’s no wonder that some of evangelical Christianity (if it can be called that) has turned into a kind of war-mongering hate group, fostering various “us against them” mindsets and acting not at all like Jesus (who, by the way, is not coming back on a white horse to smite anybody). Thankfully, none of this wrath-based thinking is true. It doesn’t even make sense. (Part of the problem is that words like wrath, ransom, and hell have been mistranslated and the English words mis-defined.) If God was paid off by Jesus, that’s not really forgiveness, is it? If someone else pays off my mortgage, the bank hasn’t forgiven the loan; it was paid in full. Calling it forgiveness is not being very honest. Plus, it makes God into someone other than who Jesus said he was. • God is exactly like Jesus (the Bible tells us so). • God is love. Period. (It’s all about the love, ‘bout the love, no wrath…). The wrathful God is a myth. • There is no original sin/guilt as invented by Augustine/Calvin. Mankind is not totally depraved. Sin is a plague, and we are victims. • Jesus was born (incarnated) to join man back to God. • Jesus is in the Father, and the Father is in Jesus (they are not like Legos that can be pulled apart). • God did not turn away from Jesus because of sin; God looks at sin all the time. The verses in Habakkuk need to be read in context, which actually is making the point that God does indeed tolerate sin. • Jesus died to save us from sin (the plague) and death. He basically blew death up from the inside when he rose on Easter. • Jesus died “for the sins of the world.” Yeah, that’s everyone. • We don’t become saved to get into heaven or escape hell; we are saved from sin and death so that we can become one with God (at-one-ment is an English word made up by translators to try to capture this meaning). • God is not sending anyone to hell (which is nothing like Dante described it). • Jesus is not coming back to destroy anything (forgiveness and wrath don’t mix). Revelation is not meant to be read literally. And those looking forward to future violence are more apt to tolerate it on Earth now. • God is good. Always. • God is love. Always. No qualifiers. Now isn’t that so much better? It should be, because this is what the Bible actually teaches, if we really look at it apart from those screwy notions we’ve accepted as truth. The Good News is that God loves [all of] us and forgives [all of] us because that’s who God is; exactly like Jesus showed us. Excuse me? Then he said it again; I hadn’t mis-heard. “Exercise your holiness option.” It was like they had a booster switch they could flip to throw them into light speed. So now we have another whole slough of errors. First, I recognized that he was using the bad English definition of “holy” as meaning pure or sinless, rather than the definition of the Greek word, which essentially means “different.” It makes sense for God to say, “Be different as I am different,” rather than “Be sinless as I am sinless.” But, the latter is the interpretation I usually hear. Can we choose to be sinless? I think the vast majority of theologians would answer “no.” We can desire to be sinless (I myself desire to be sinless, sometimes), but if the Bible is to be believed, getting there is beyond our grasp. The two main schools of thought are that 1) we can cooperate with God to become more Godlike; and 2) our wills are bound by our sinful nature and we depend entirely on God’s grace. Paul, as well as Jesus (read through John), seem to lean towards the latter. I completely reject the Calvinist doctrine of total depravity as mischaracterizing both God and humanity. We are created in God’s image, destined for glory. “Total depravity” doesn’t fit into that picture. If you read through the Gospel of John, you may be struck by the fact that Jesus treats sin the same as a physical disease. Just as our bodies are subject to failure, we are also afflicted by the disease of sin. Not totally depraved, but afflicted and in need of grace and healing. Grace matters. It is still a concept which many churches prefer to hold at arm’s length, as a church under grace tends refuses to fit in nice, neat boxes. 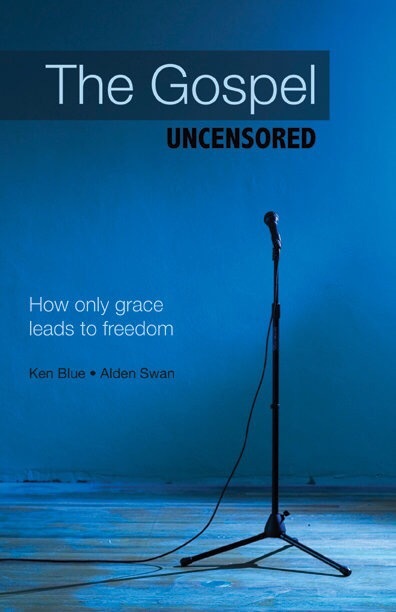 A few years ago, I took what I had found to be the best teaching on grace I had ever encountered and turned it into a book, The Gospel Uncensored. I still believe this to be the best book on grace that I’ve seen. It’s fairly short, easy to read, and directly to the point, primarily using Paul’s letter to the Galatians as the outline. People have told me how it’s changed their lives, how it’s their favorite book, and that they periodically re-read it. It’s that good (you can trust me, my name is on the cover). There is no “holiness option.” The only 2 options are self-righteousness, and grace. I highly recommend grace. Our word “worship” means to give something or someone great value or worth. Peter’s statement is really the ultimate worship statement, as he is not just saying that Jesus’ words are better than the Rabbis down the road. Peter goes so far as to say, “only you.” There are simply no other options. There’s life here, and anywhere else is death. This attitude, I think, is the true heart of worship. … Lutheran worship takes our eyes and sets them firmly on the cross of Jesus Christ, for there the Lord of the Universe suffered and died for the sins of the world. Lutheran worship points us to the Resurrected Lord who lives and reigns to all eternity, and promises us everlasting life. Christ-centered Lutheran worship lifts our hearts and minds to the things of God and helps us to understand our place in Christ’s kingdom better as His redeemed people. Yes, Lutheran worship must always be Christ-centered. When we say Lutheran worship is Christ-centered, this is not to say that those who gather for worship are mere blocks of stone. Our worship focuses on Christ, who is present for us and with us in His Word and Sacraments. He is truly among us. We are not contemplating a far-off Christ, or meditating on abstract ideas. Lutheran worship is not like going to a self-help group or a therapy session. It is God who gathers us for worship around the gifts He gives to us through Word and Sacrament. We are worshipping the One who is very near, as close as the preaching of the Word. We are worshipping the One who is actually present under the bread and wine of Holy Communion. He promised, “I will be with you always.” In our worship service He fulfills that wonderful promise. 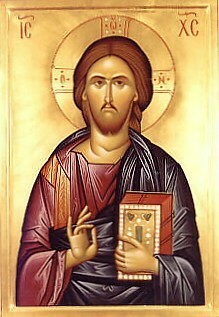 He is living and active among us, right here, right now, where He has promised to be-in His Word and Sacraments. Therefore, it is important to say that while our focus is on Christ, His focus is always on us! Thanks be to God that this is true! 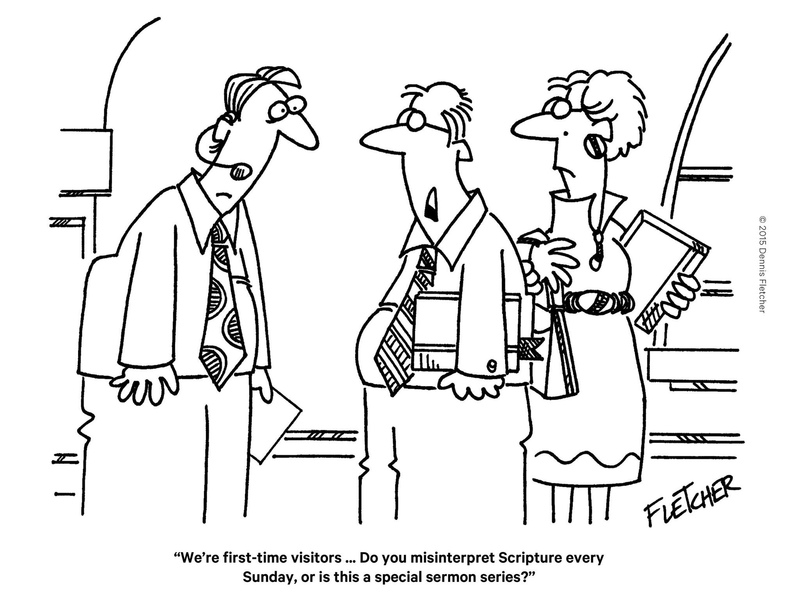 Now, I don’t mean to say that only Lutherans worship correctly, or that all Lutherans necessarily worship correctly. I think the principles here transcend Lutheranism, although Lutheran incarnational theology is very intertwined with Lutheran thoughts on worship, and contemporary evangelicalism tends to downplay concepts such as Christ’s real presence. My point, rather than to necessarily champion Lutheran worship, is to point out the differences between this philosophy of worship and other worship philosophies which are to varying degrees influenced by Calvinism and Arminianism, both of which can have a very man- and works-centered focus. I am also not emphasizing one style over another (although I have thoughts there, too). It is entirely possibly to be involved in a very emotionally-oriented style of worship and still be aware that the whole point is to receive from Christ. This, by the way, is what the Lutherans mean by “Christ-centered,” which is also a term used by everyone else; no one would say that their worship is not “Christ-centered.” The difference is whether or not we are looking solely to Christ as our source for righteousness and holiness as we worship.